Dental crowns are an appliance that can cover a damaged tooth to make it look better, or restore function to a tooth, or teeth, in your mouth. Dental Crowns can help you avoid other dental procedures that are more expensive. Crowns can be used to cap extremely large cavities and prevent the necessity of having to perform a root canal. Crowns are flexible. Your dentist can design your crown to match your teeth and bite. The color, shape, and size of a crown can be altered so that a crown can give you back your beautiful smile. Crowns are long-lasting. A crown is expected to last from five to ten years and can last even longer. Even better? Many insurance plans automatically cover crown replacement after five years, so your only expense on the crown is the initial procedure. Crowns can also protect weak teeth and prevent the need for their extraction. A crown “gives back” to a tooth it’s original strength and function. They are permanently placed. Because they are fixed in your mouth, they do not move or slide around. Dentures can drop out and be lost, but once crowns are in your mouth, they stay there! Dental Crowns feel and perform like your natural teeth. Crowns are roughly the same shape, size, and feel as your teeth, so they feel natural in your mouth. Because of their strength and permanence they can also be used like natural teeth – no need to worry when you bite or chew. 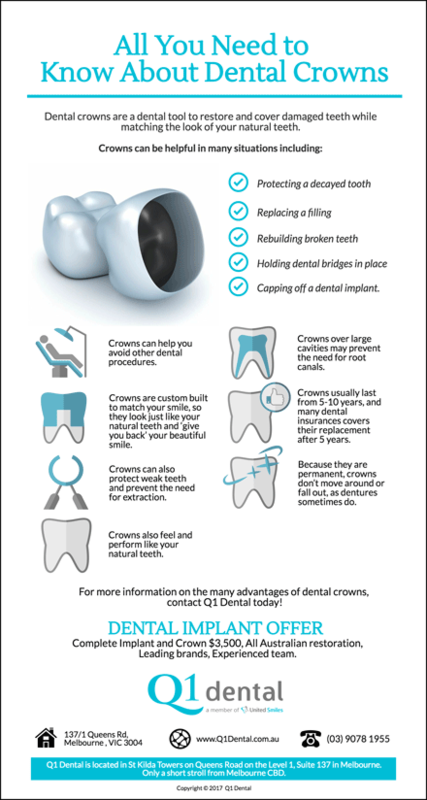 Dental Crowns can be solutions to a variety of Dental Problems. Visit your Q1 Dental Office to learn more! Get only the highest quality of dental crowns in Melbourne. 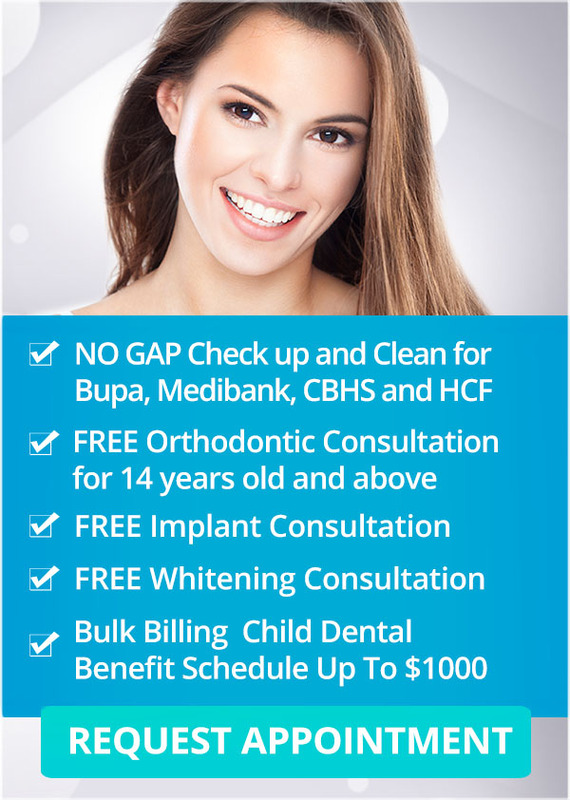 Call us today on (03) 9078 1955.